When a new Project Team Member record is created, a Role is chosen for the team member. 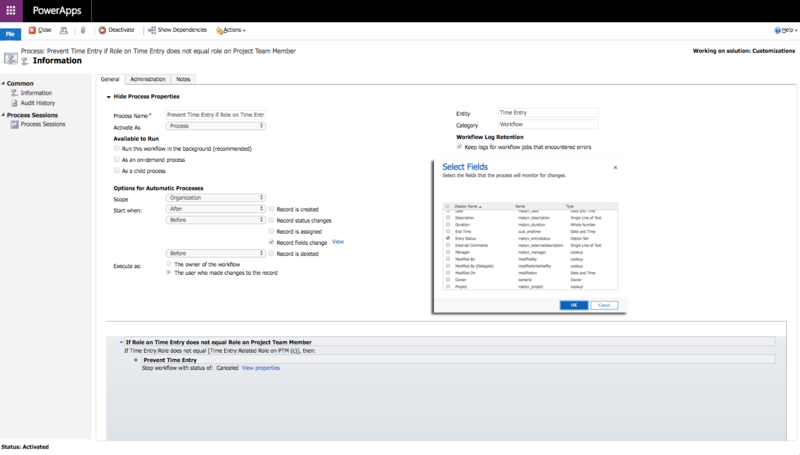 This doesn’t mean that the same Role has to be used when submitting Time Entries as Dynamics 365 Project Service Automation allows a user to submit Time Entries for any defined Role. 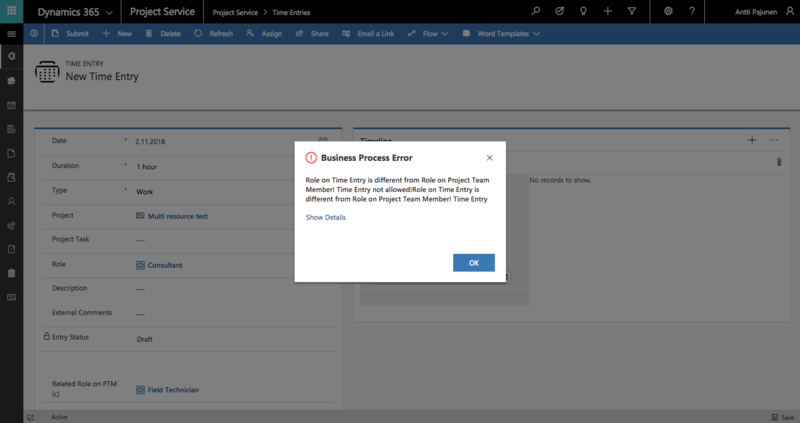 A requirement that occasionally pops up is to restrict Time Entries when a Role selected on a Time Entry is different from the one that is set on the related Project Team Member record. In other words if John Doe is set as a Consultant on a Project’s Project Team Member record and he selects a Role of Developer on a Time Entry, submitting that entry should not be allowed. 1. Create a lookup to Bookable Resource Category and place it on the Time Entry form. 2. Create a real-time workflow that stops the workflow as canceled if Role on Time Entry is different than the Role populated in the lookup field. The lookup is populated using the Flow in step 3. 3. Create a Flow that populates the lookup in step 1 when a Time Entry is created. The Flow goes through all Project Team Member records related to a Project. It populates the lookup on Time Entry when a Bookable Resource on the PTM record matches the Bookable Resource of the created Time Entry. With these three simple steps we can tackle a requirement around Time Entries with Flow and without using code. 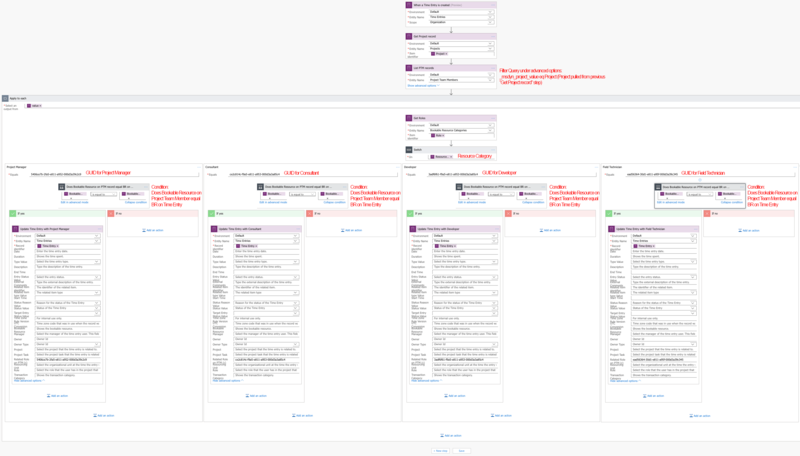 As always, you can get this Flow from the Those Dynamics Guys PowerApps Bank here.